Total's return to Iran is achievable if sanctions are lifted and an agreement on the nuclear program is reached, said CEO Patrick Pouyanne. The French energy giant’s return may see the restart of work at a natural gas liquefaction plant halted in 2009. "We have a long history of working in Iran, we have developed some projects together,”Pouyanne told an industry audience at the World Gas Conference on Tuesday.“We have history with Iran. I know that Total will be favorably received. But first, let's see what will happen on the political scene." 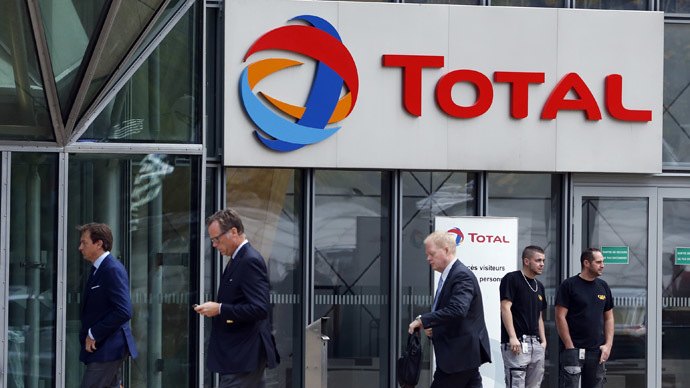 Total’s return to the world’s second-largest gas extracting country and one of the largest oil producers in the world would take time, Pouyanne said. Earlier, the head of Total said that the company was strongly involved in the development of oil projects in Iran. In particular, Total planned to invest in the construction of a plant for liquefied natural gas at the South Pars major gas field. Together with Malaysia’s Petronas, Total was due to develop phase 11 of the gas field. However, in 2009 the company froze all of its projects in the country as the result of US-led effort to isolate Tehran over its nuclear ambitions. In April, Iran and international powers reached an agreement on Tehran’s nuclear program following eight days of talks in Switzerland. The agreement included the Fordow facility being converted into a nuclear physics center with no fissile material to be used. Natantz facility would remain as the only uranium enrichment complex in Iran. If the deal is signed on June 30 as planned, the US and the EU will lift Iran sanctions after an inspection from The International Atomic Energy Agency (IAEA), said Iran's Foreign Minister Javad Zarif. The deal could be signed before the end of June, if the participants in the negotiations on the nuclear program of Iran adhered to the agreements and didn’t propose new terms, said Russian Foreign Minister Sergei Lavrov Tuesday in an interview to Bloomberg TV. The US have been tightening the screws on Iran since 2002, trying to de-escalate Tehran’s nuclear ambitions. In 2006, the UN Security Council imposed sanctions on Iran after the country refused to cancel its uranium enrichment program.